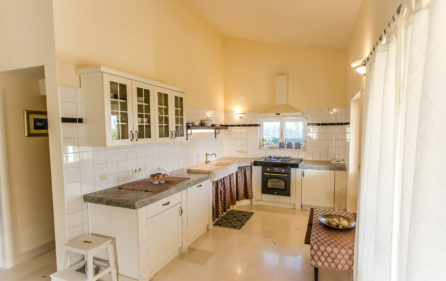 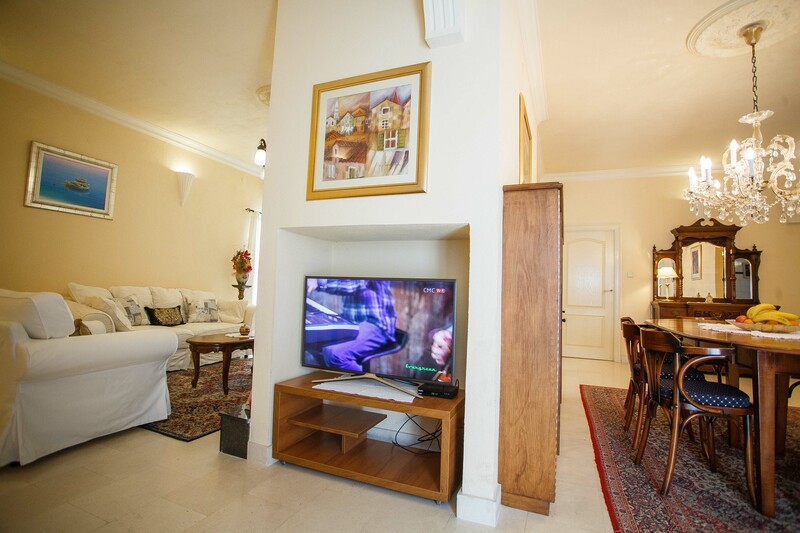 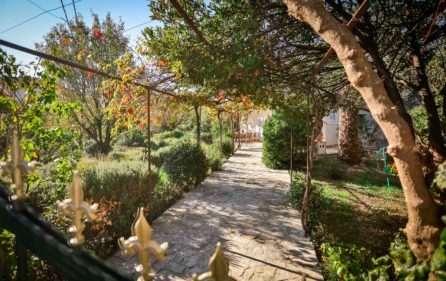 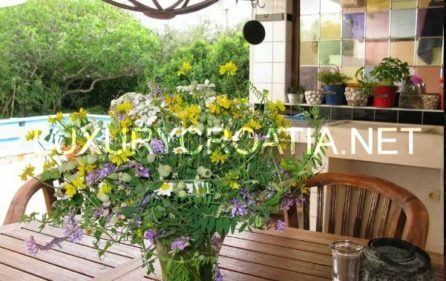 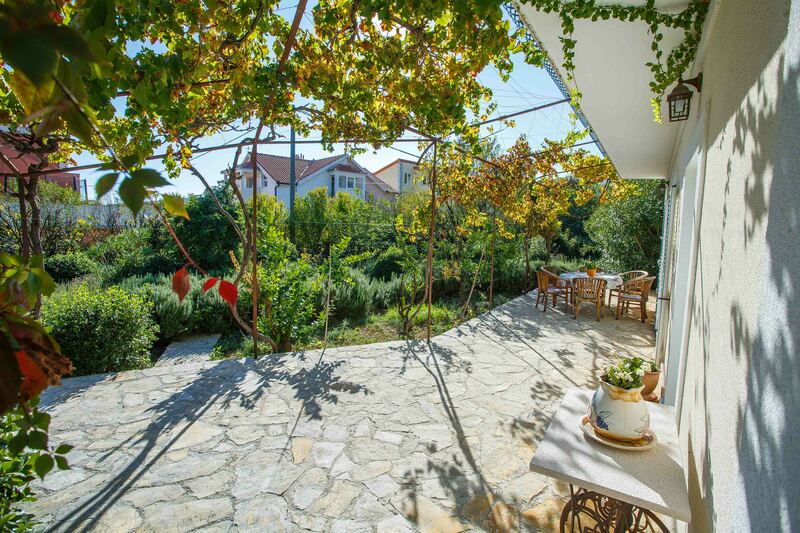 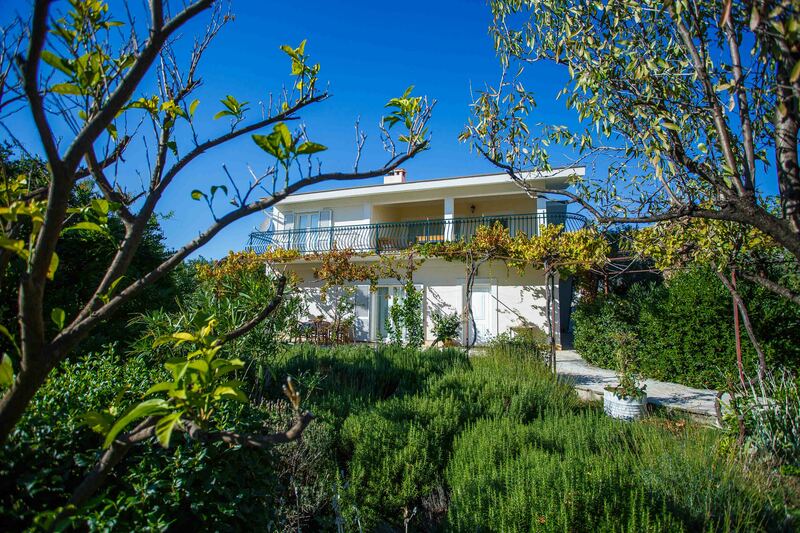 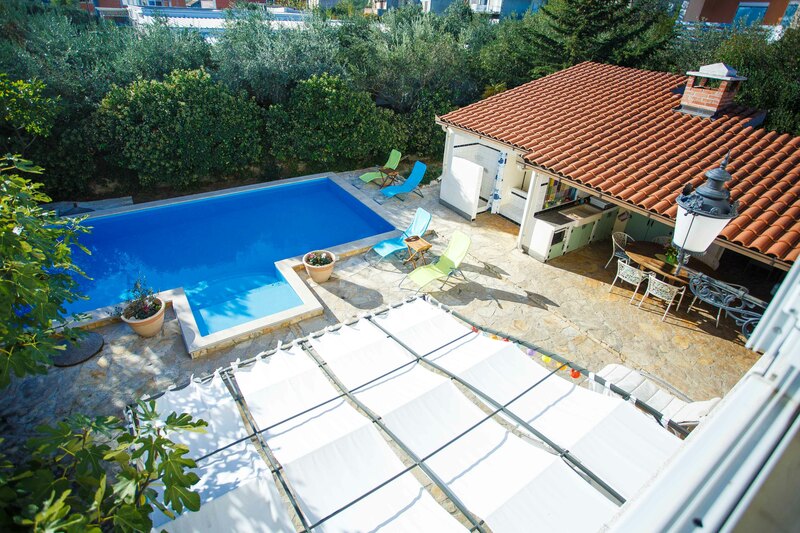 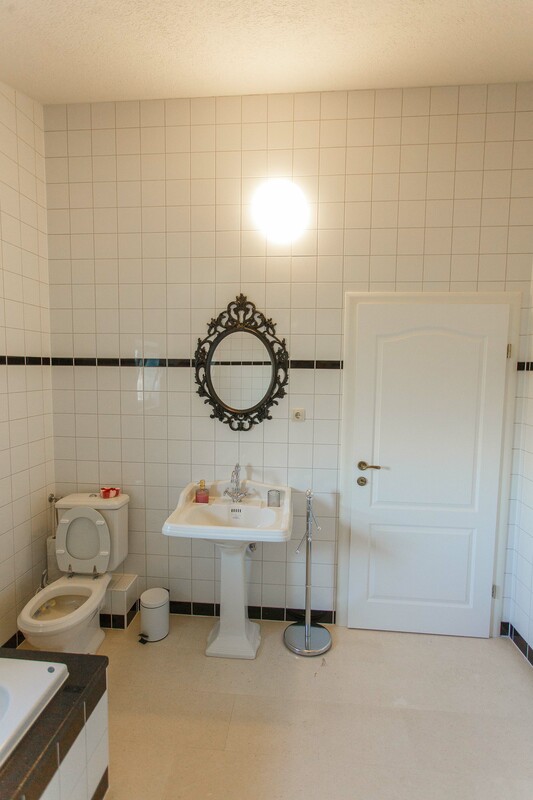 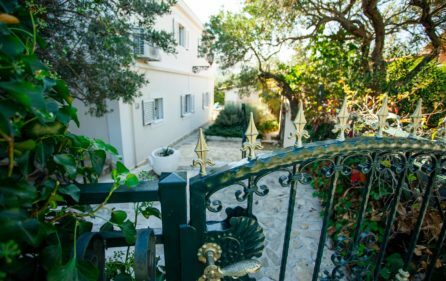 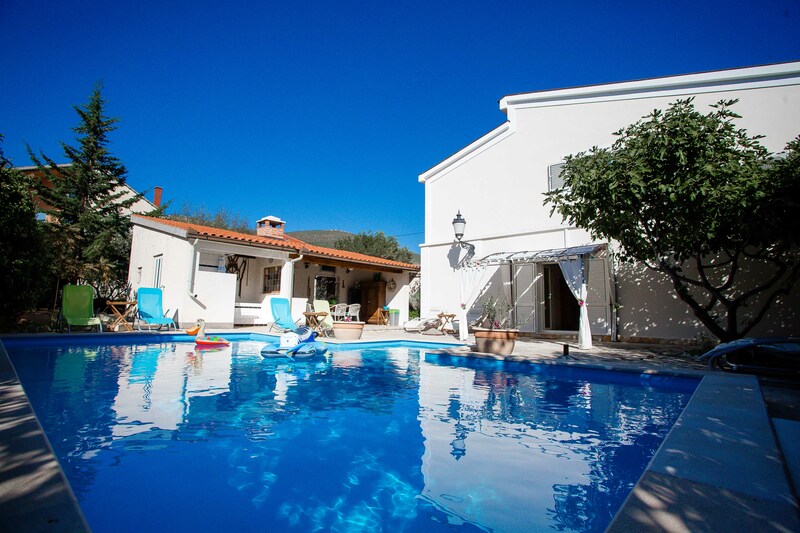 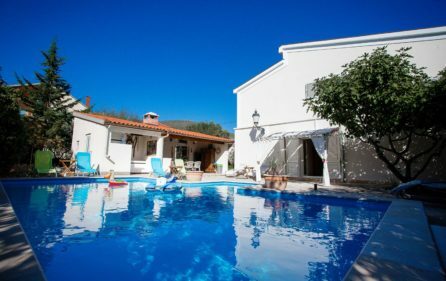 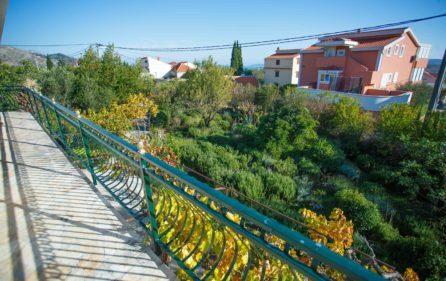 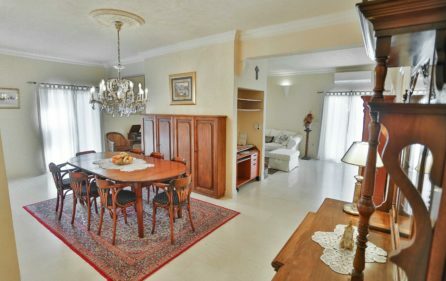 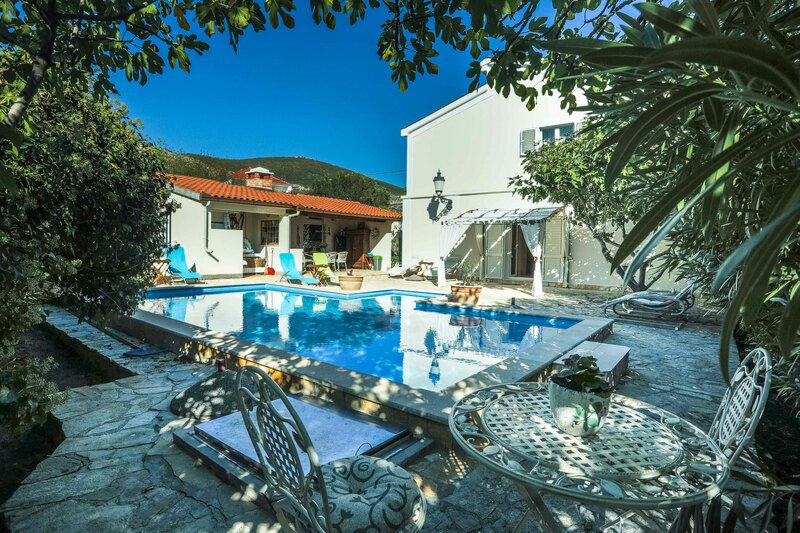 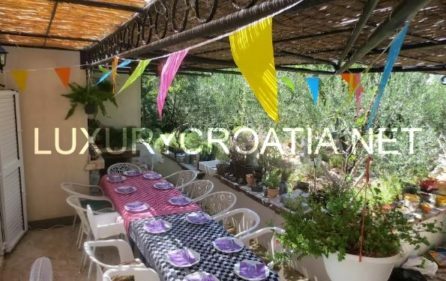 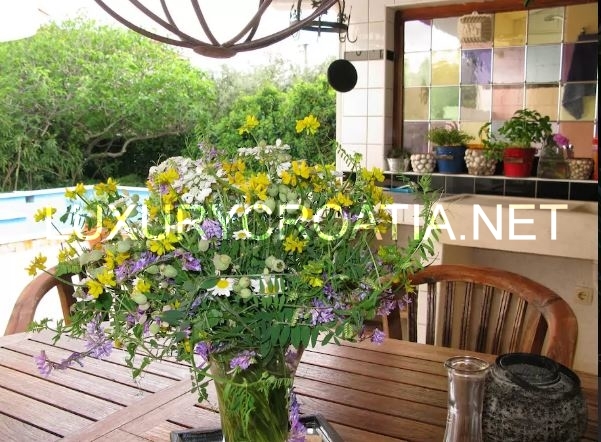 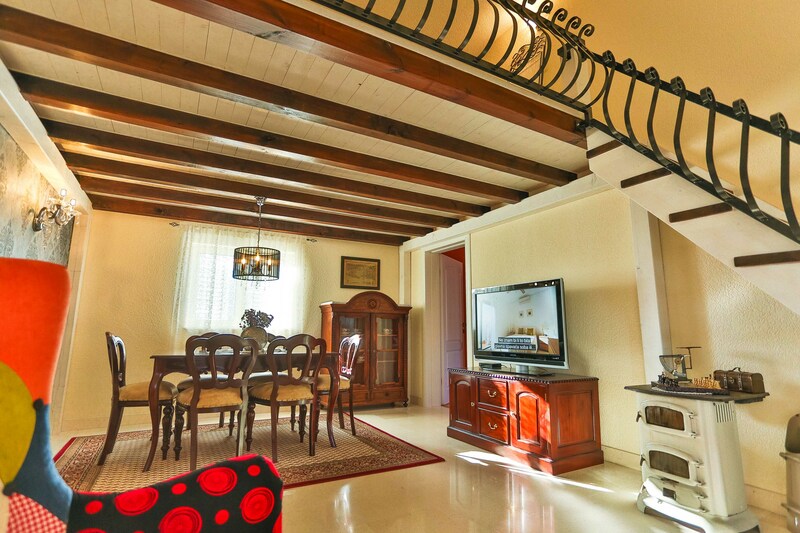 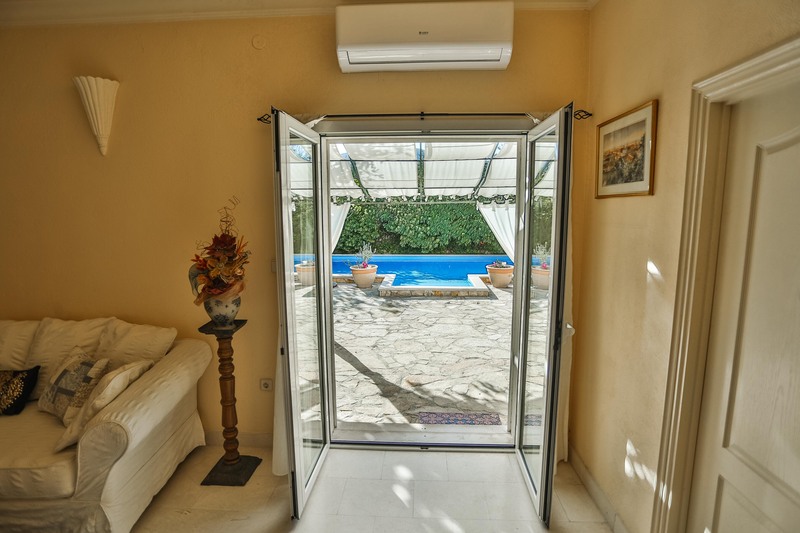 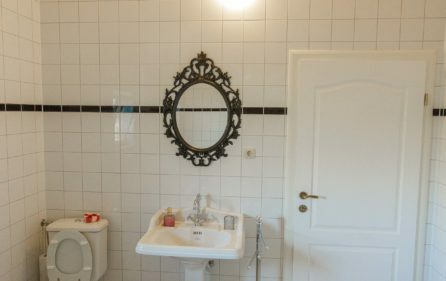 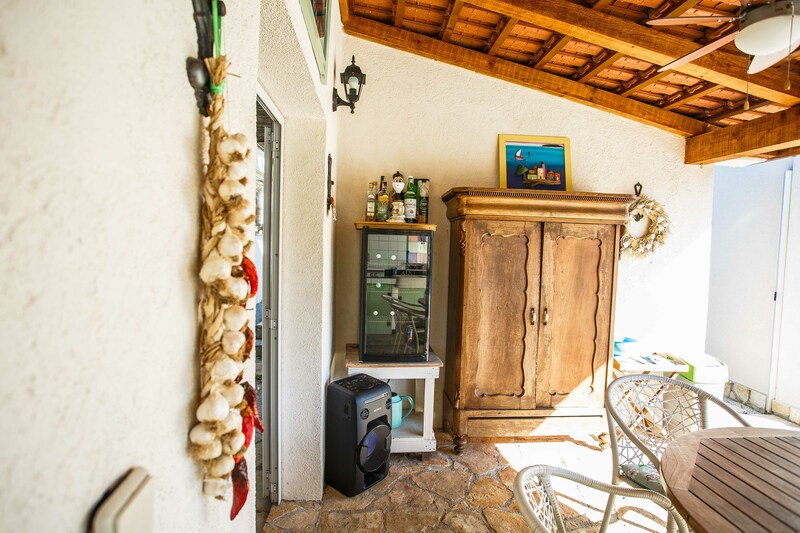 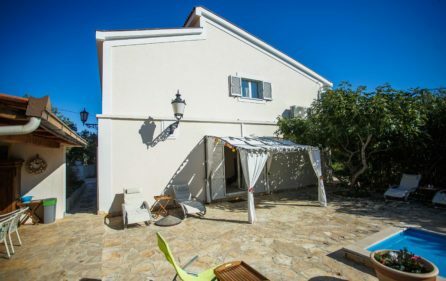 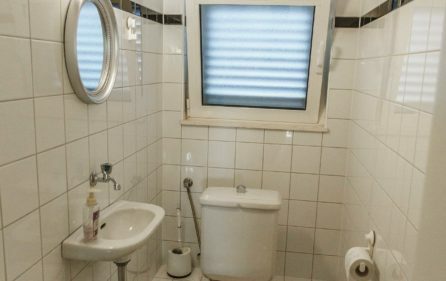 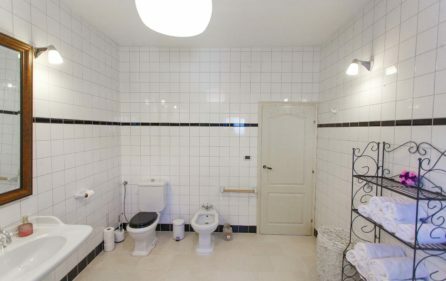 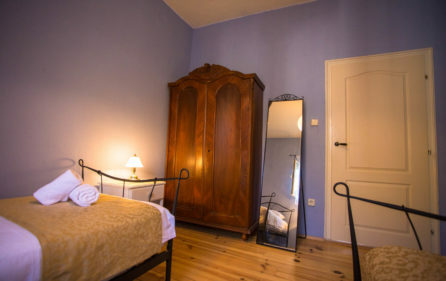 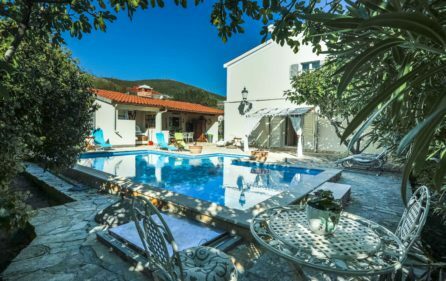 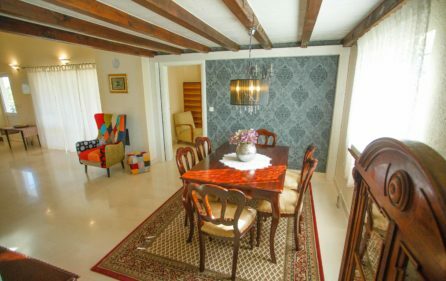 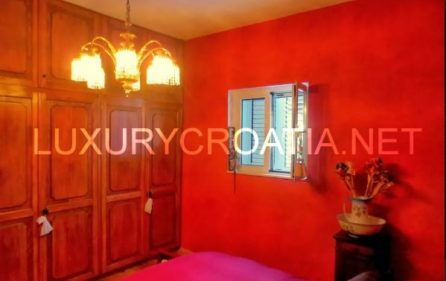 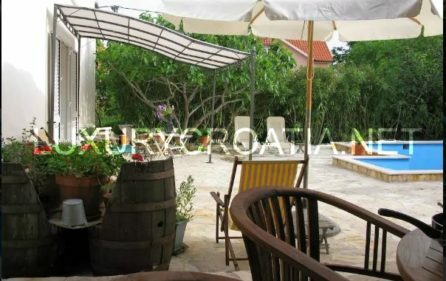 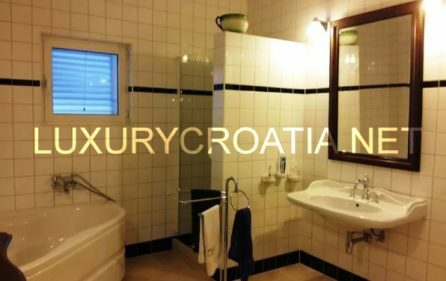 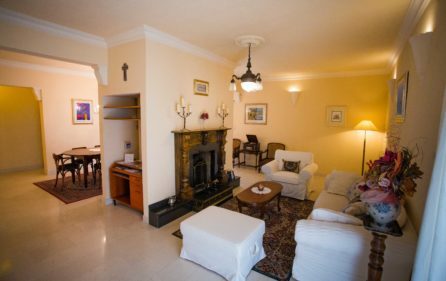 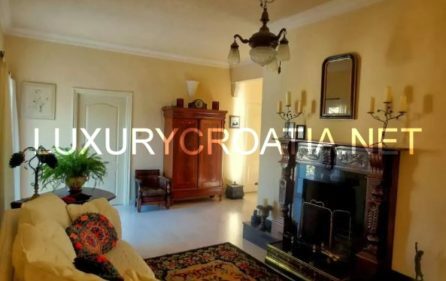 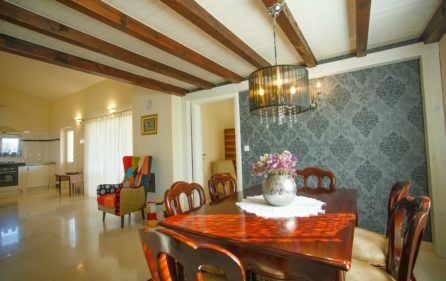 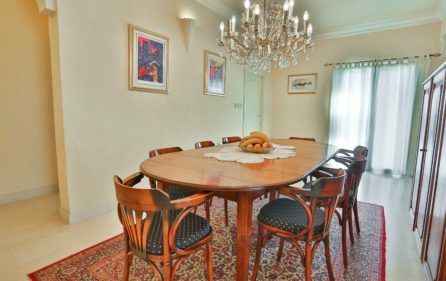 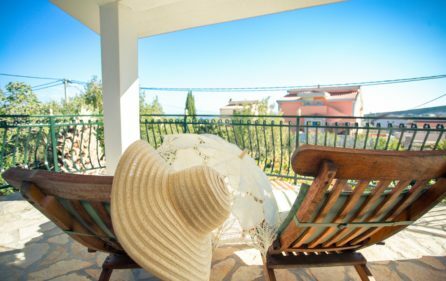 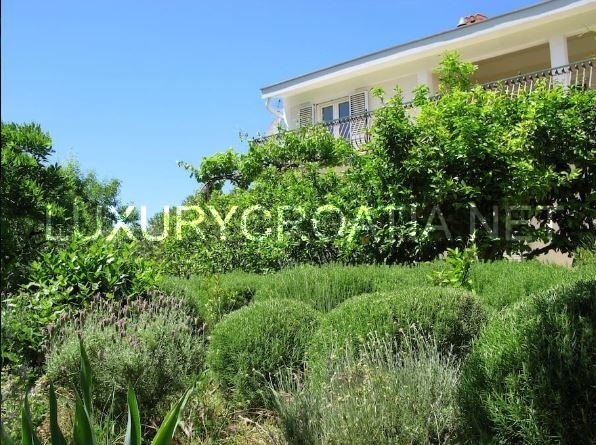 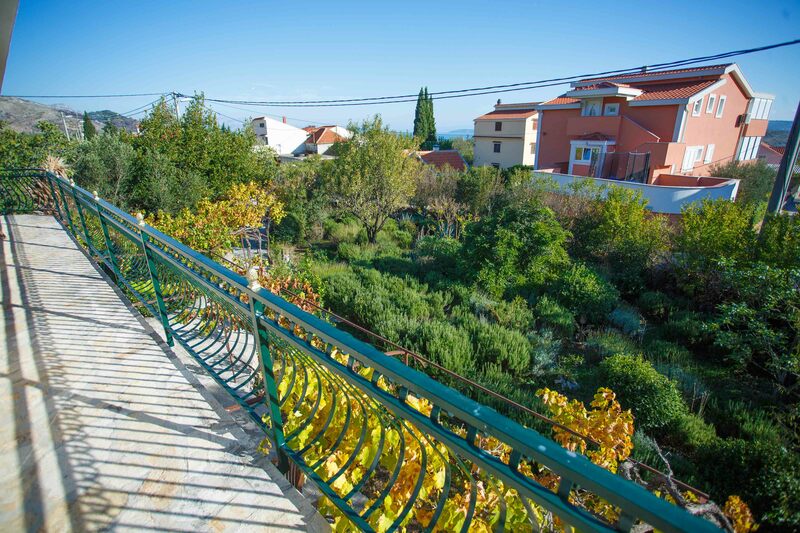 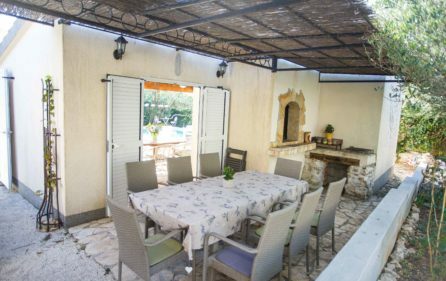 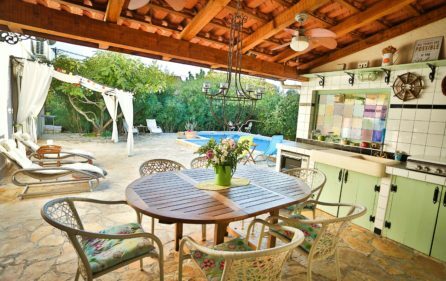 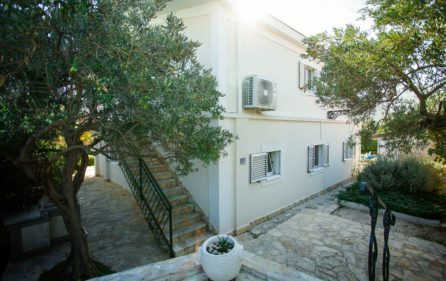 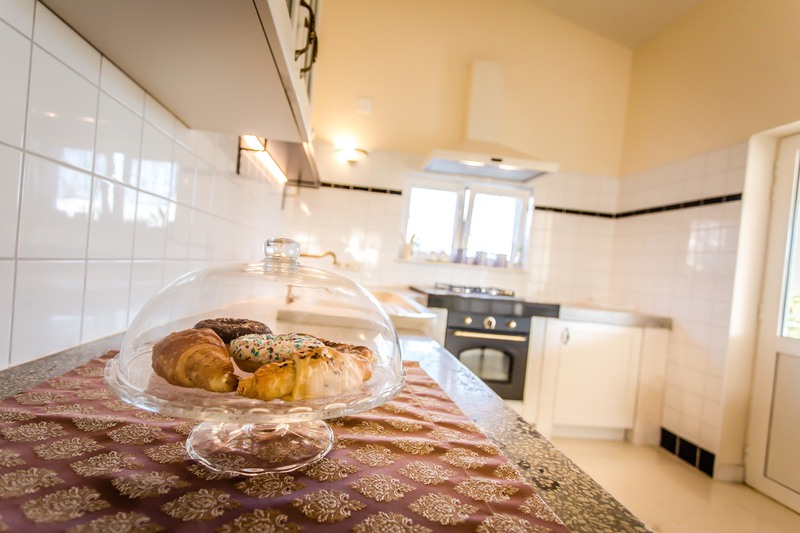 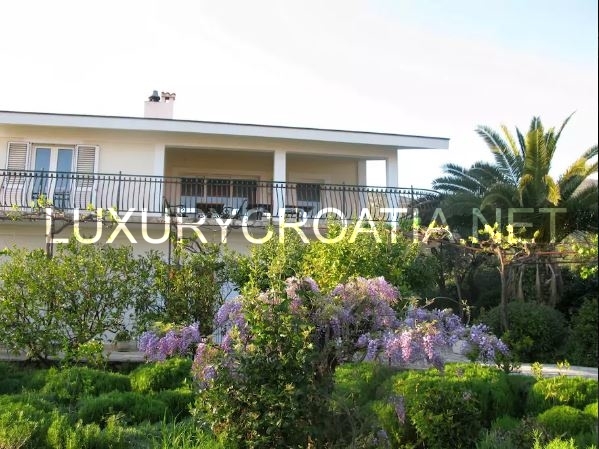 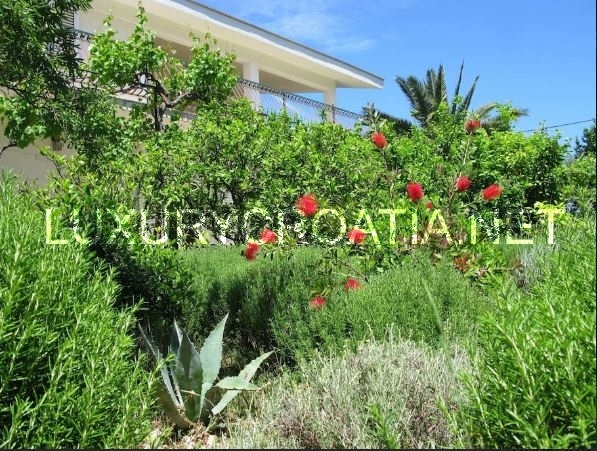 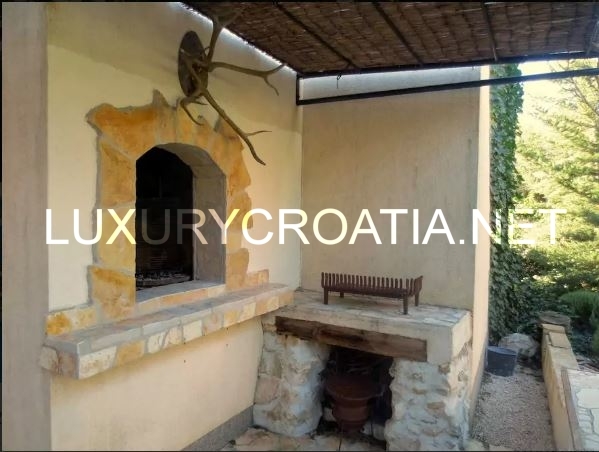 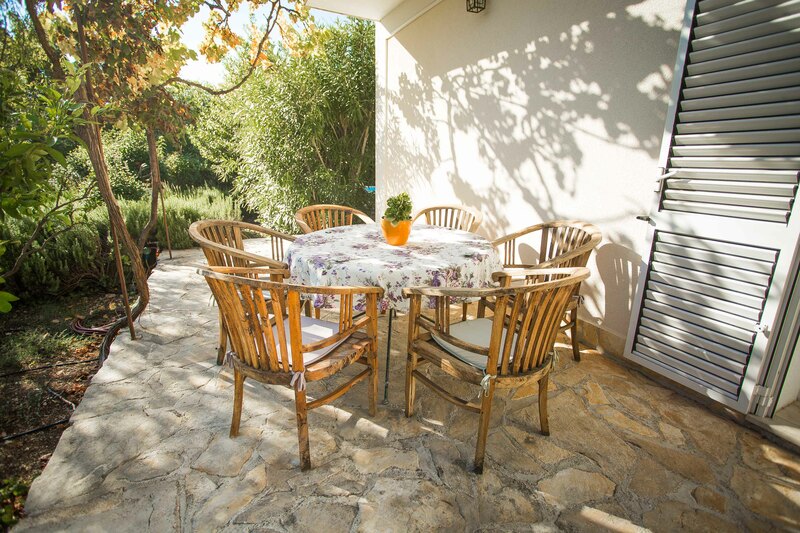 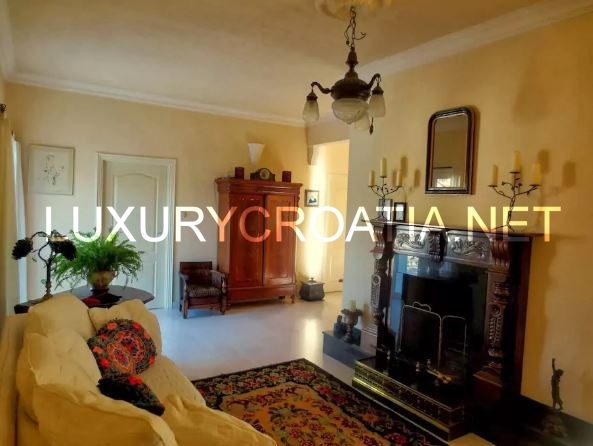 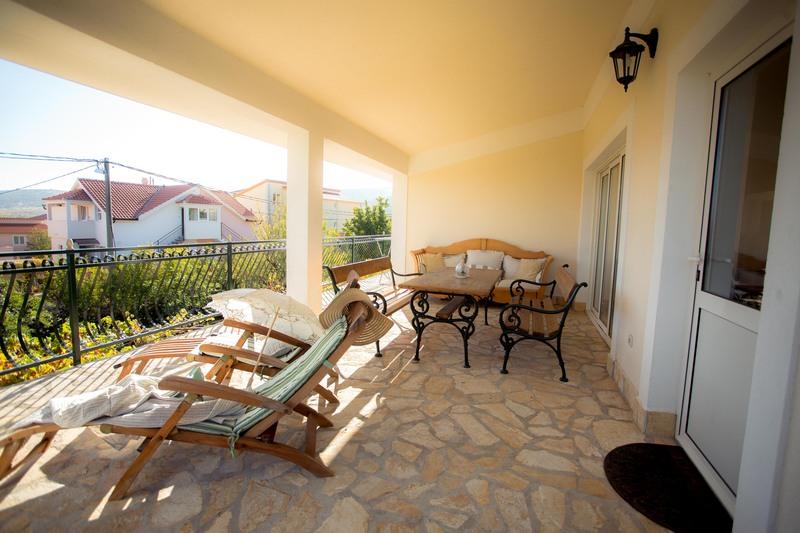 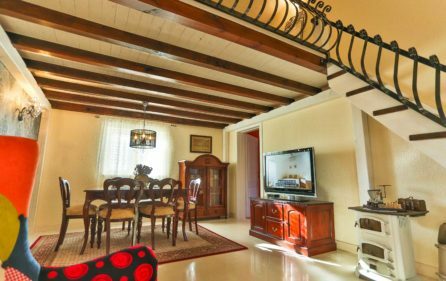 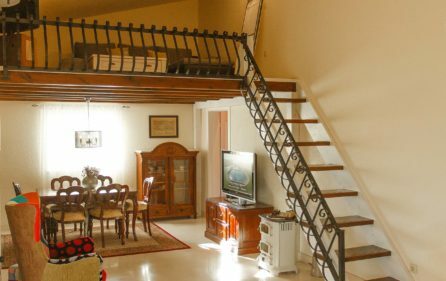 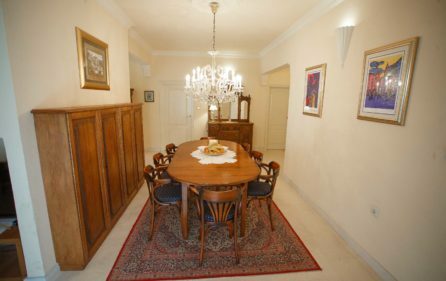 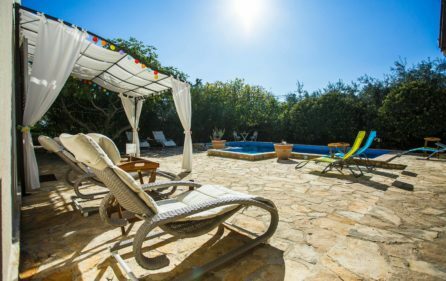 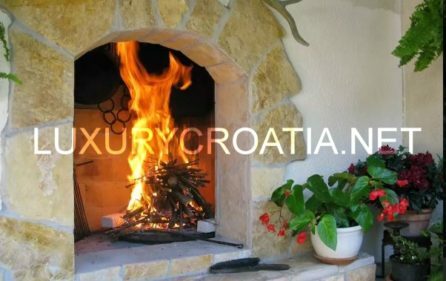 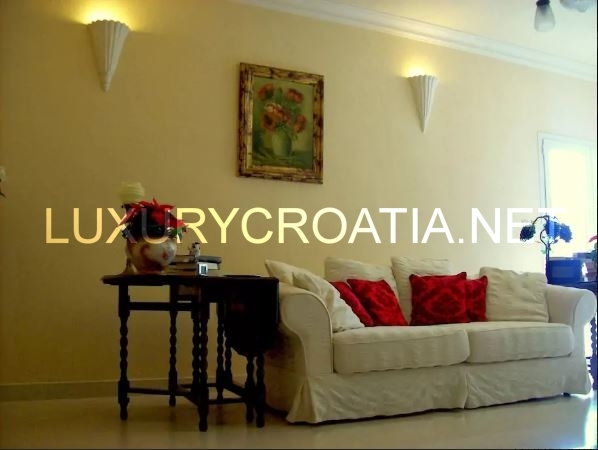 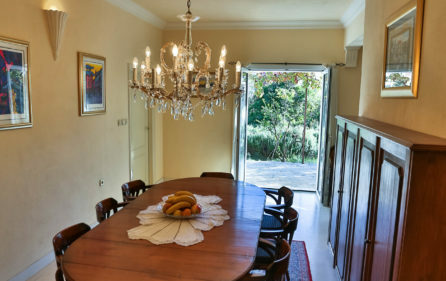 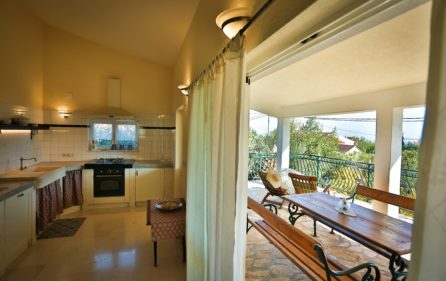 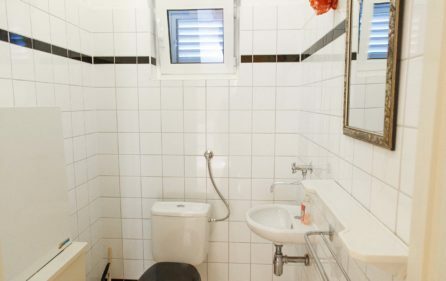 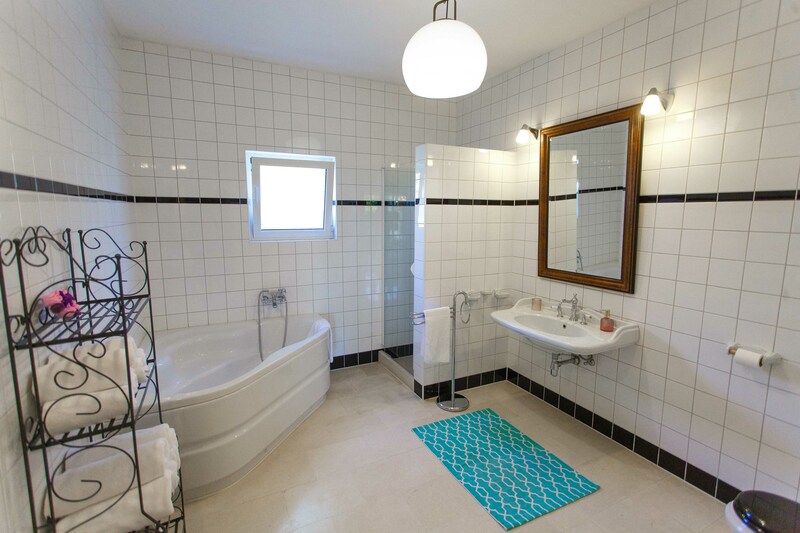 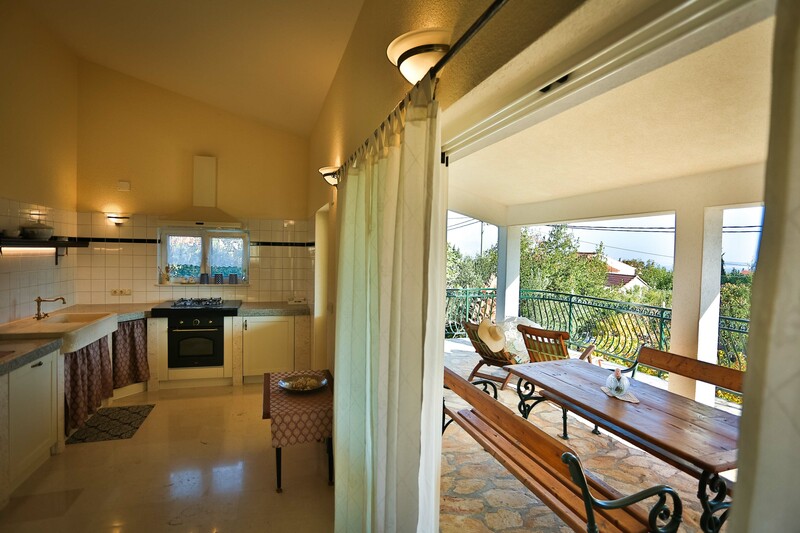 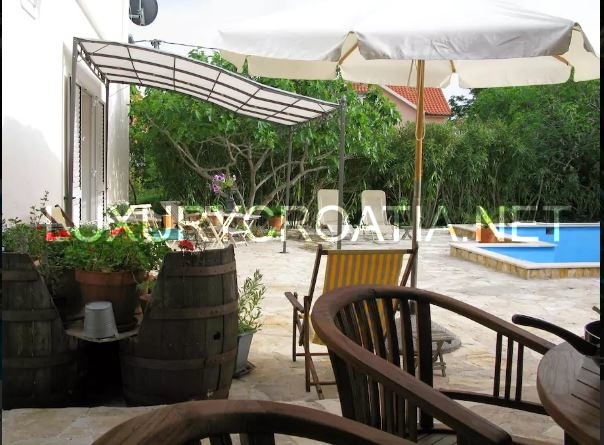 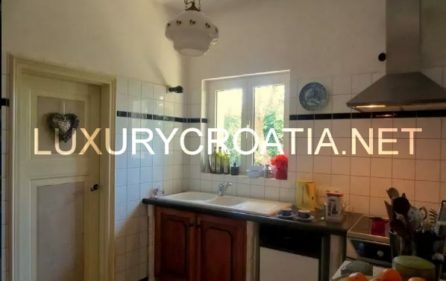 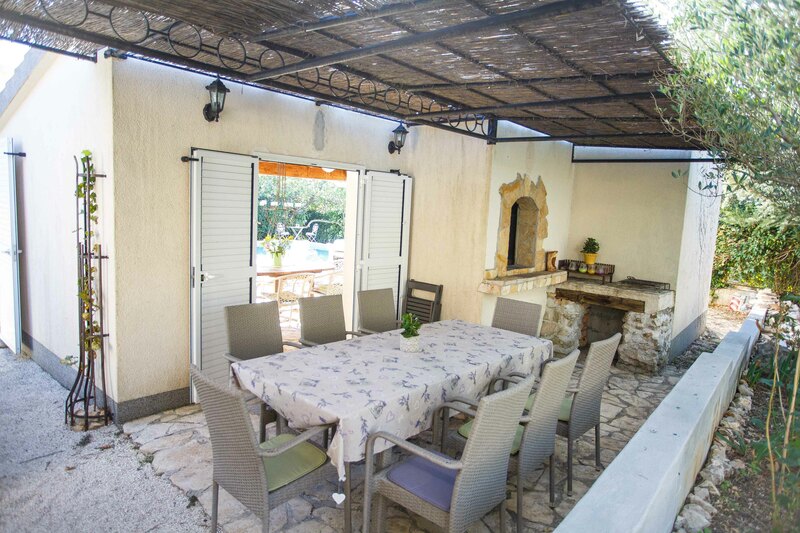 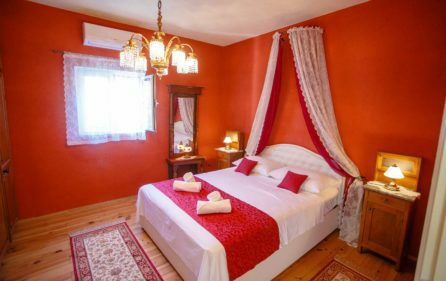 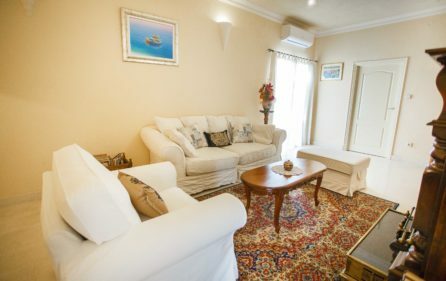 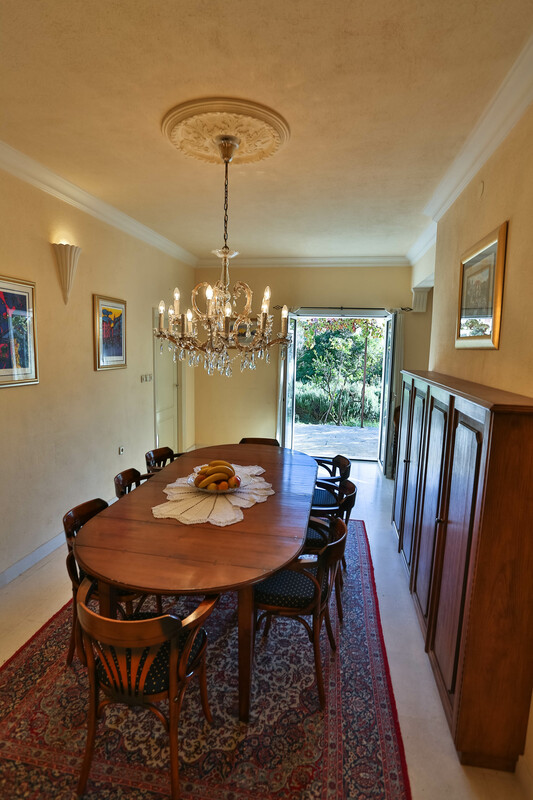 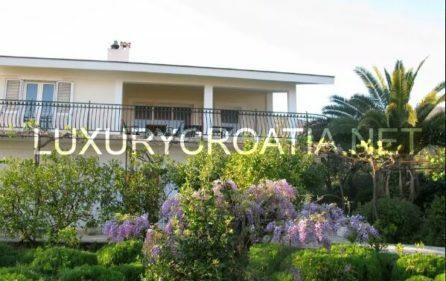 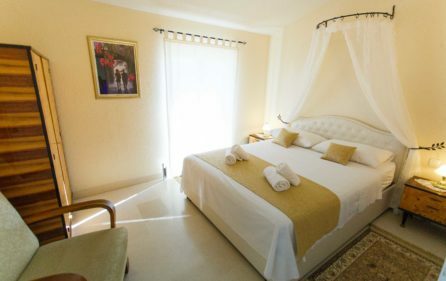 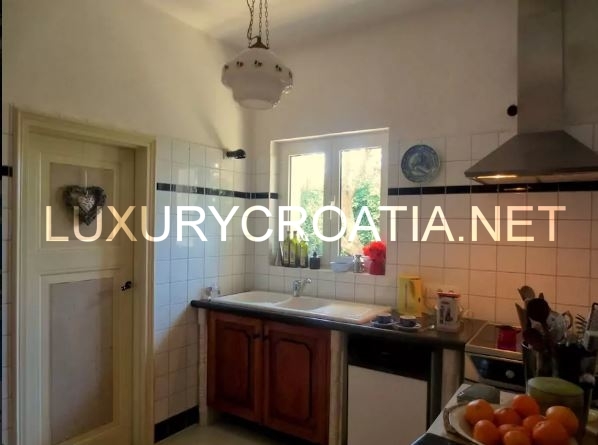 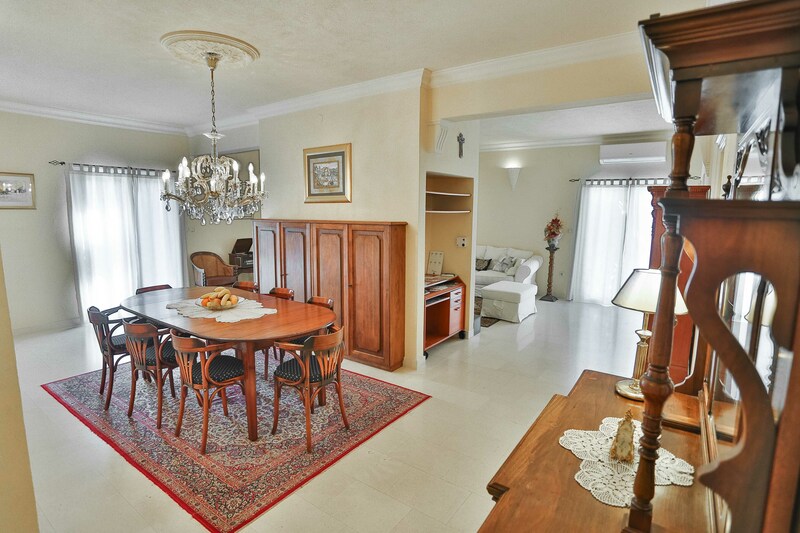 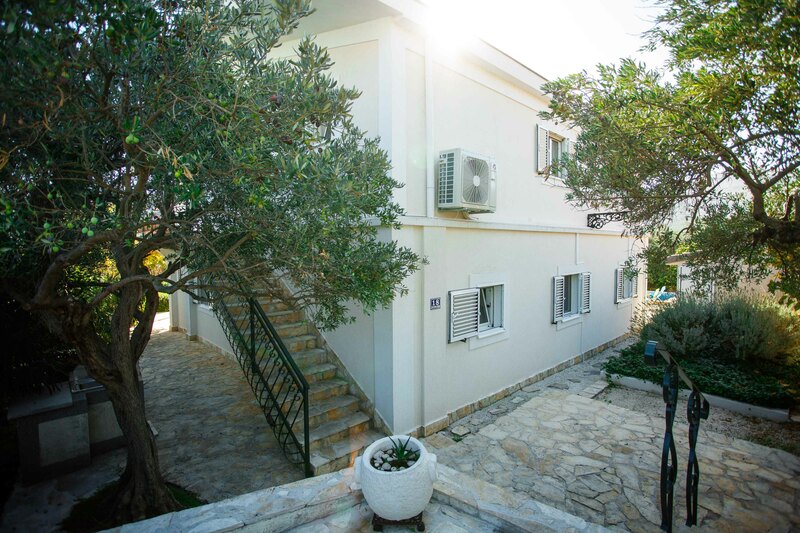 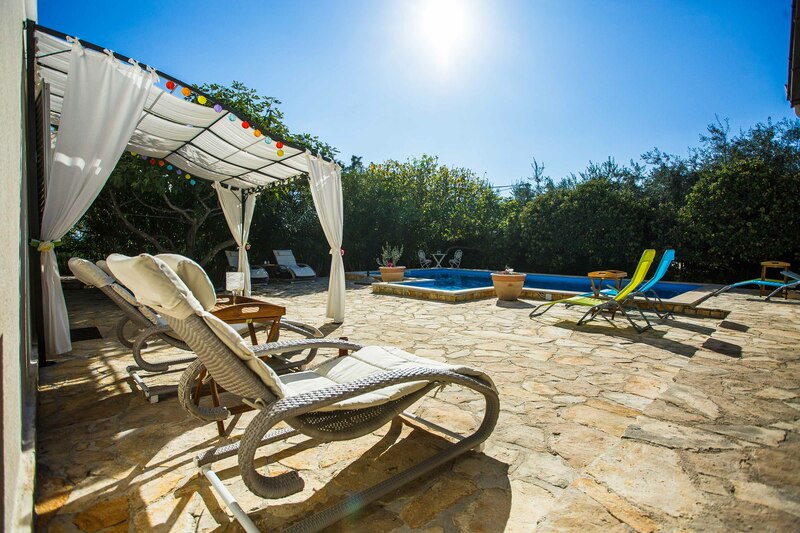 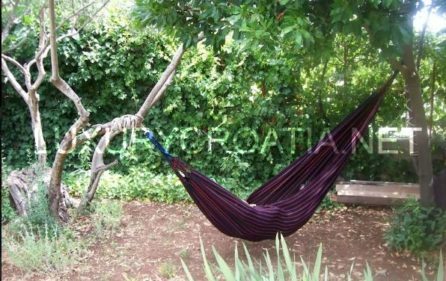 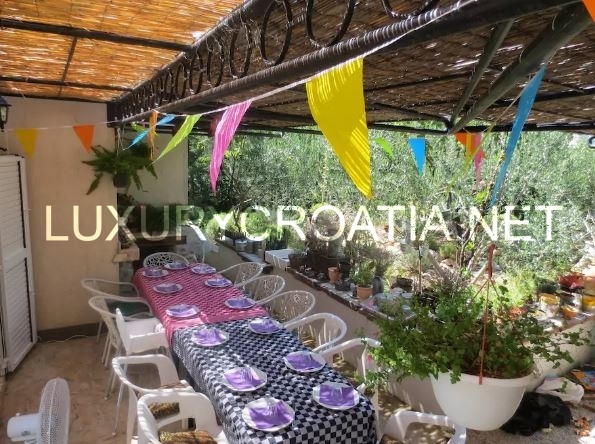 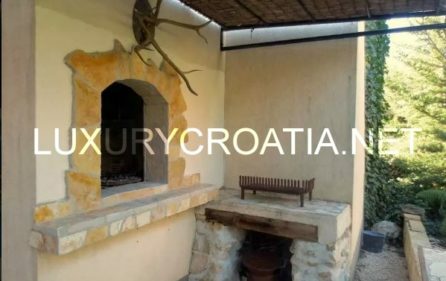 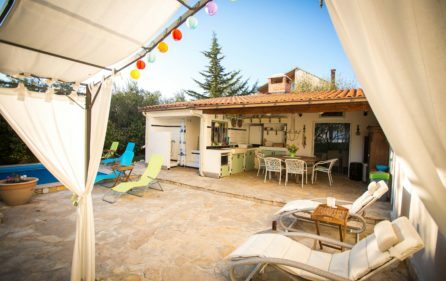 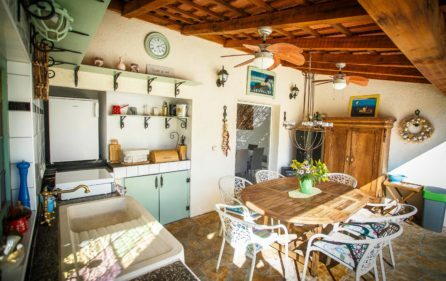 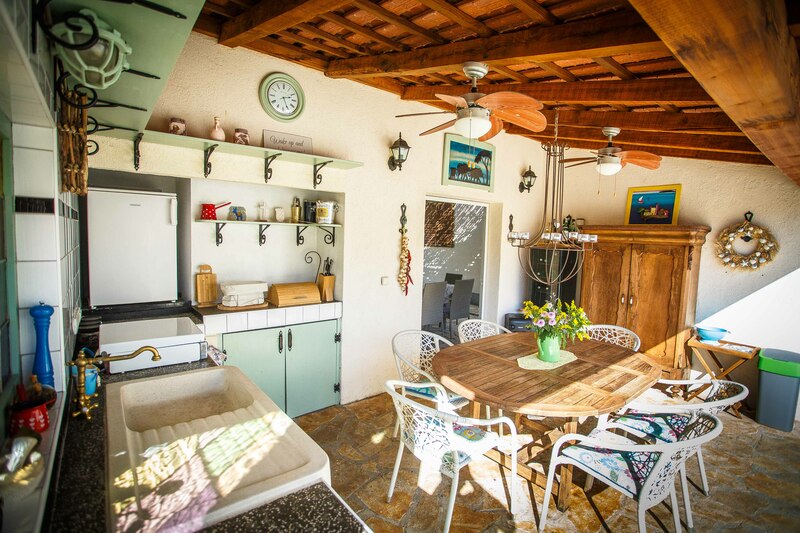 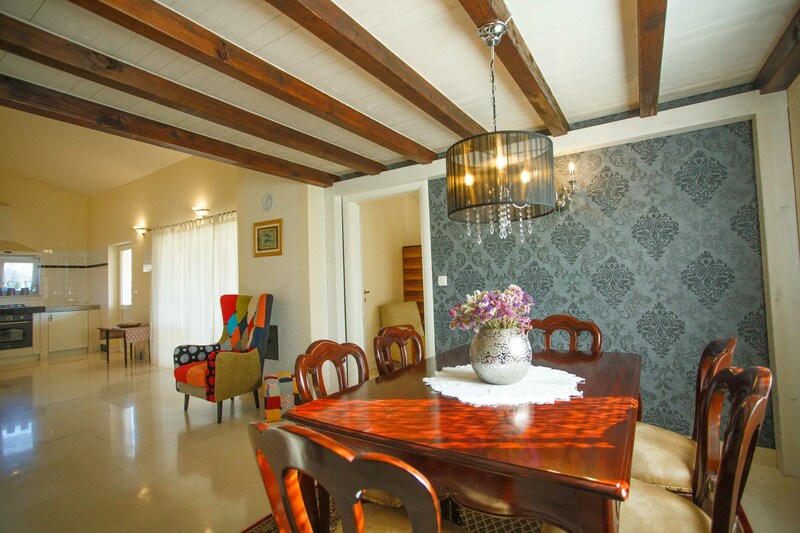 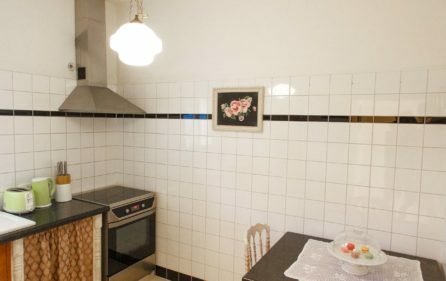 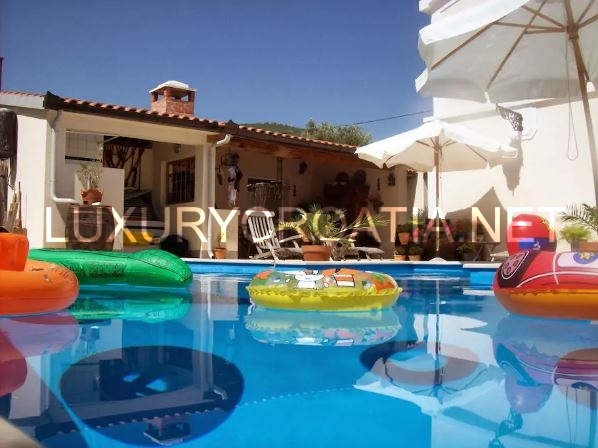 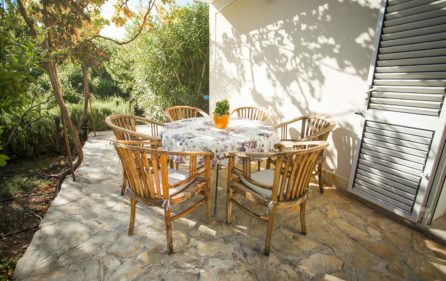 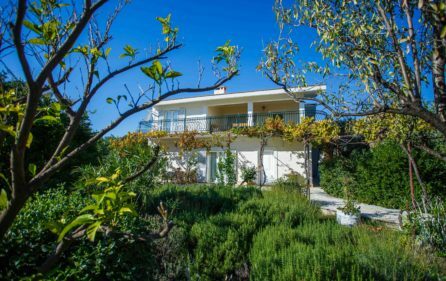 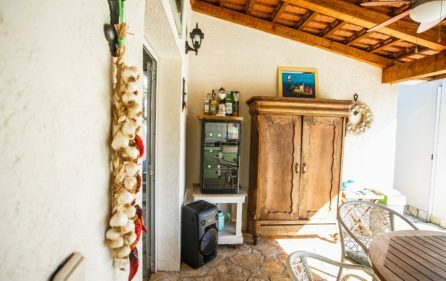 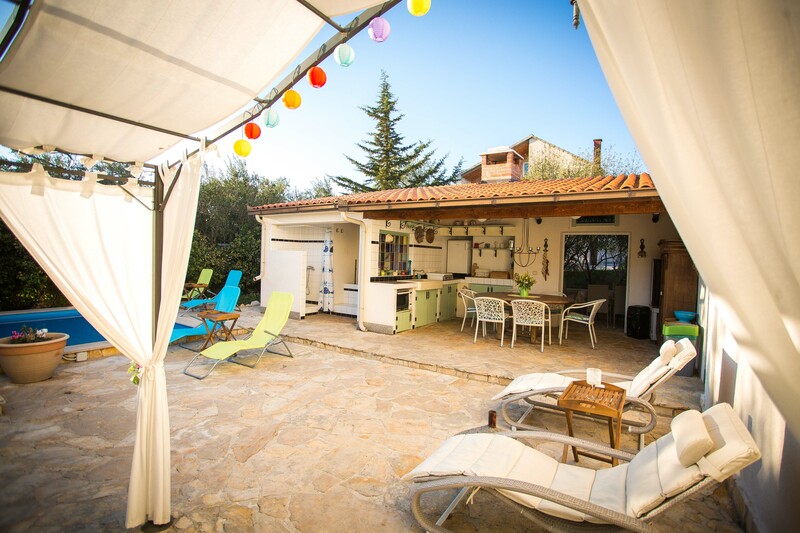 Wonderful villa with a garden for rent, Trogir strategically very good positioned, just a few kilometers away from the largest airport in the area, close to the highway and the Adriatic sea. 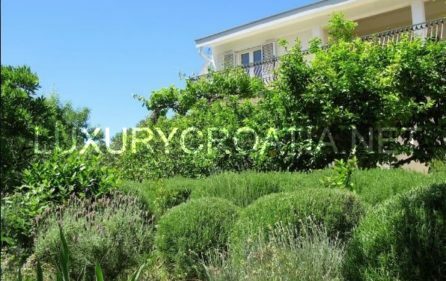 It is positioned in between the historical cities of Trogir and Split, the two most popular UNESCO sights in Croatia. 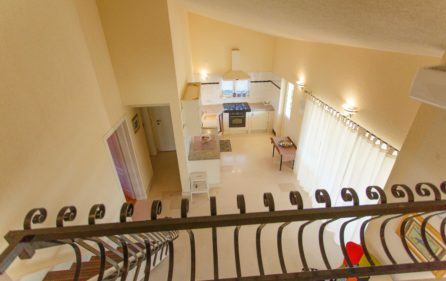 Away from the hustle and stress in the city and surrounded with a 1 350 sq. 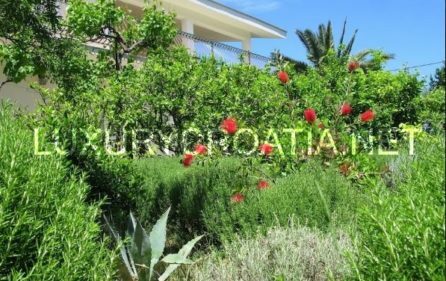 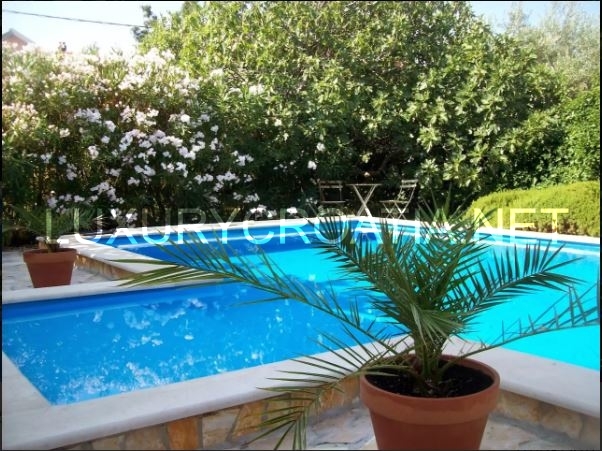 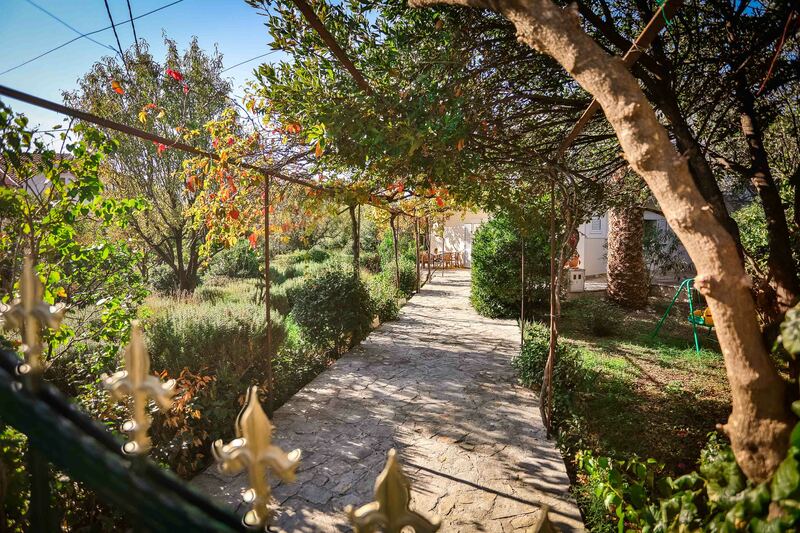 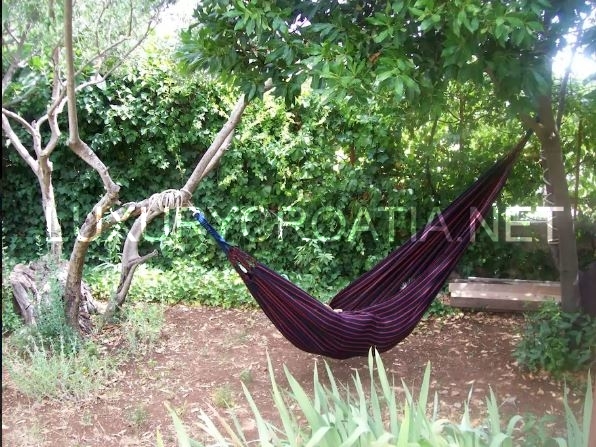 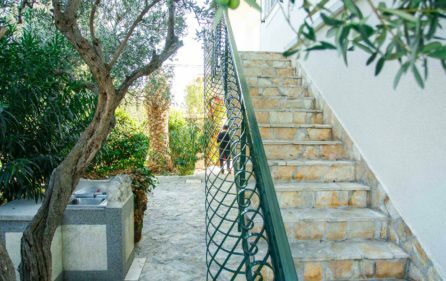 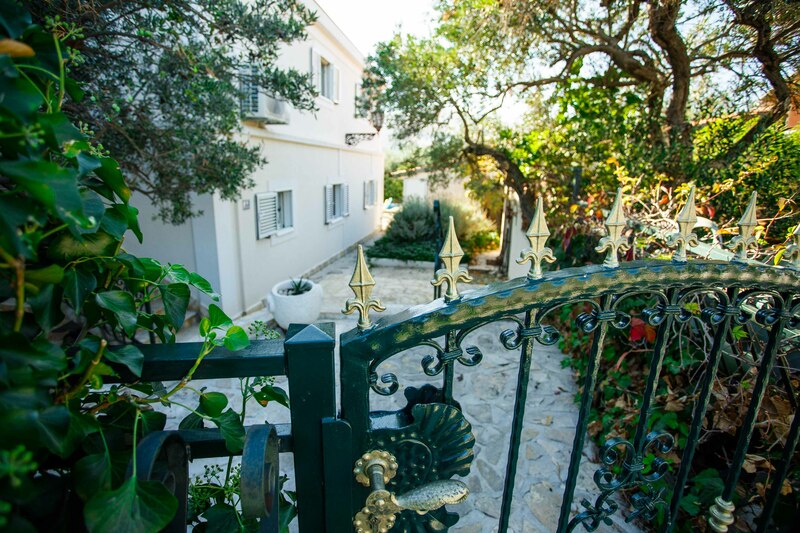 well-maintained garden,with lots of Mediterranean plants (rosemary, olive trees…) and with 35 sq. 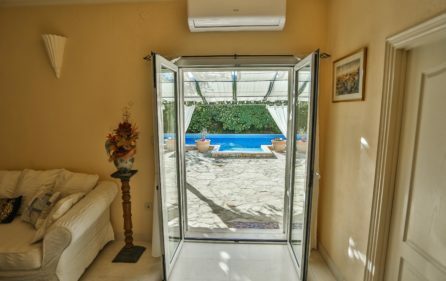 swimming-pool and an outdoor fireplace. 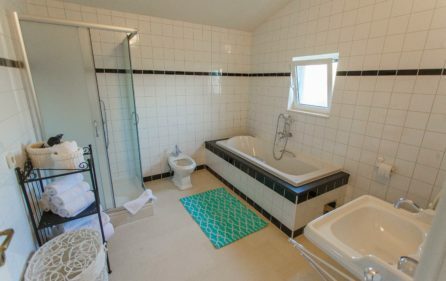 The house is family/kid friendly. 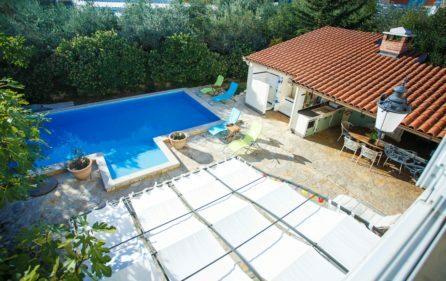 Perfect place to enjoy all day long outside the Villa on the spacious pool area with covered outdoor kitchen or on the terrace on the first floor with a sea view. 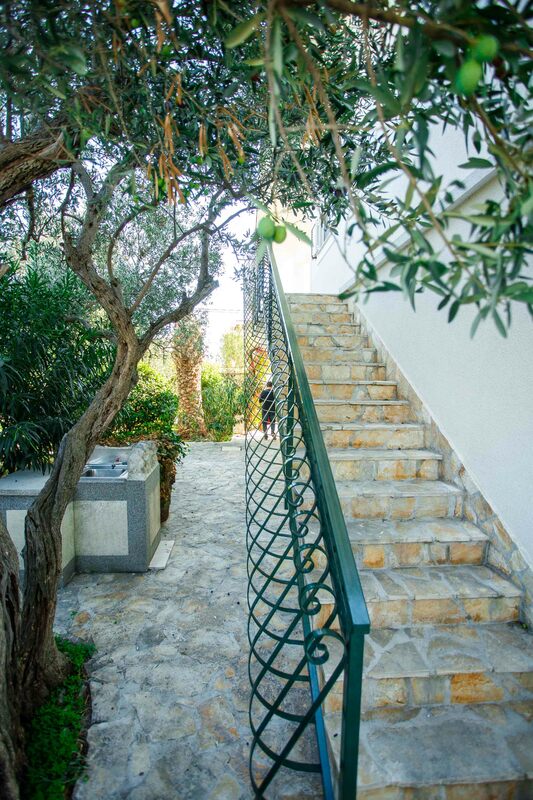 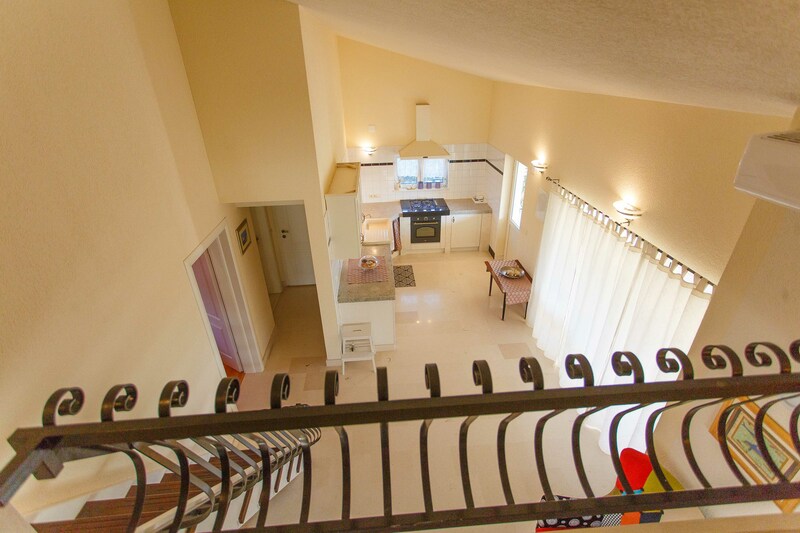 Villa consists of spacious two living-units, which are connected by outdoor stairs. 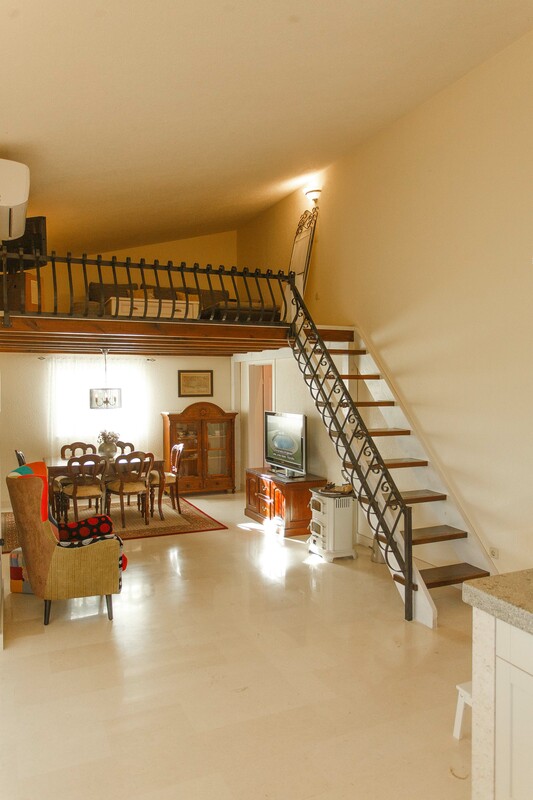 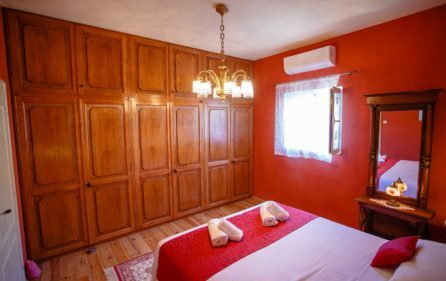 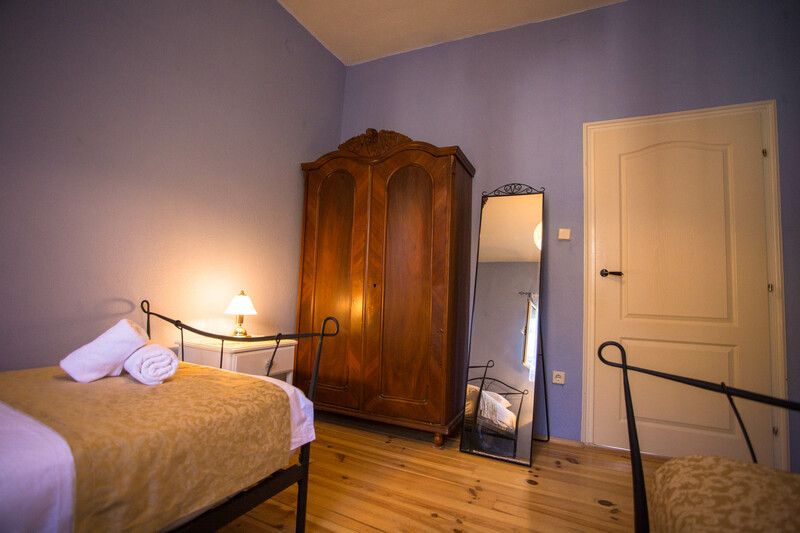 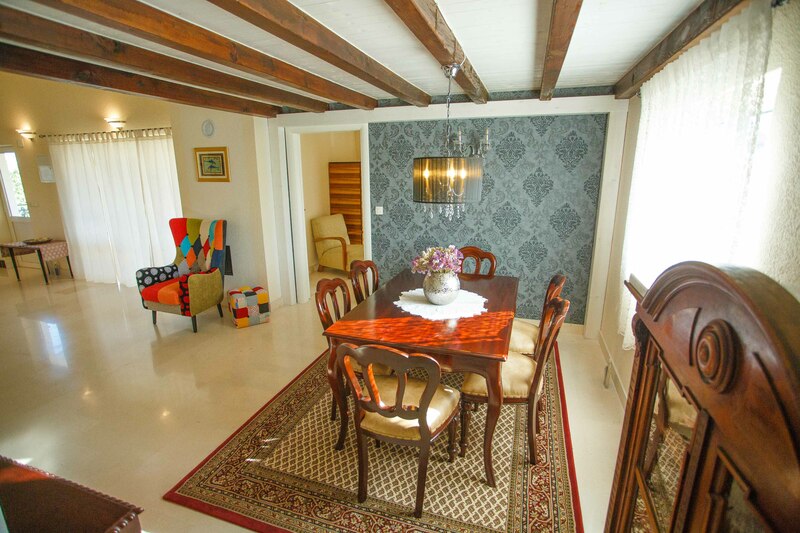 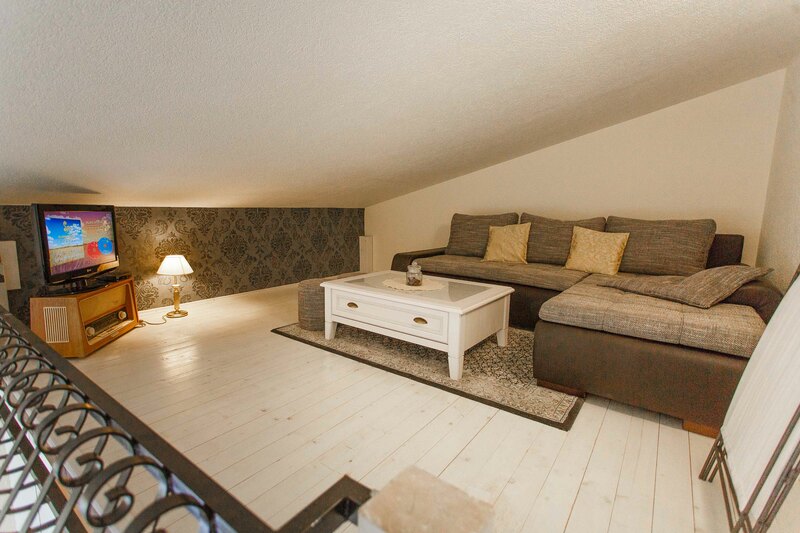 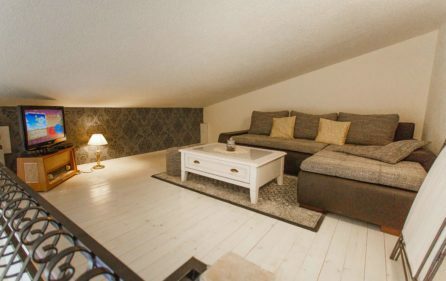 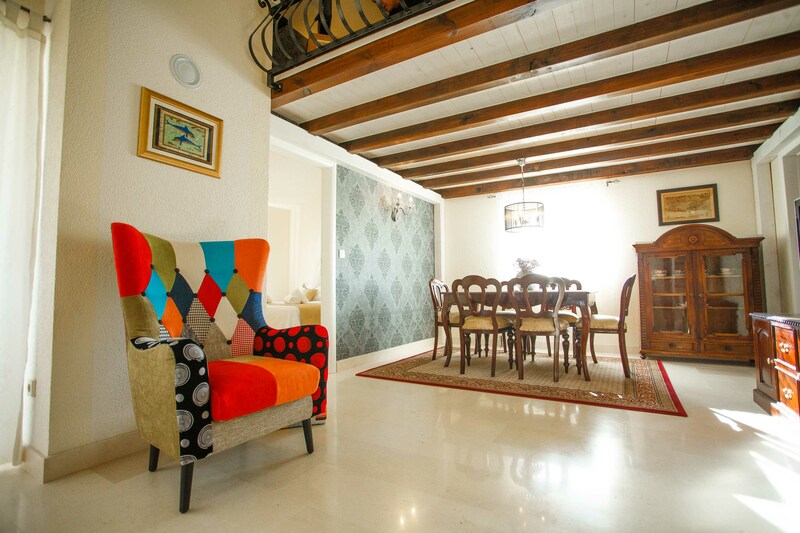 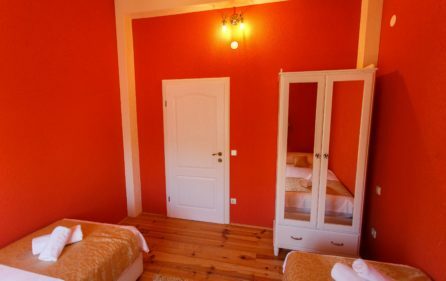 There are 5 bedrooms in the house and a common space with two sofa beds. 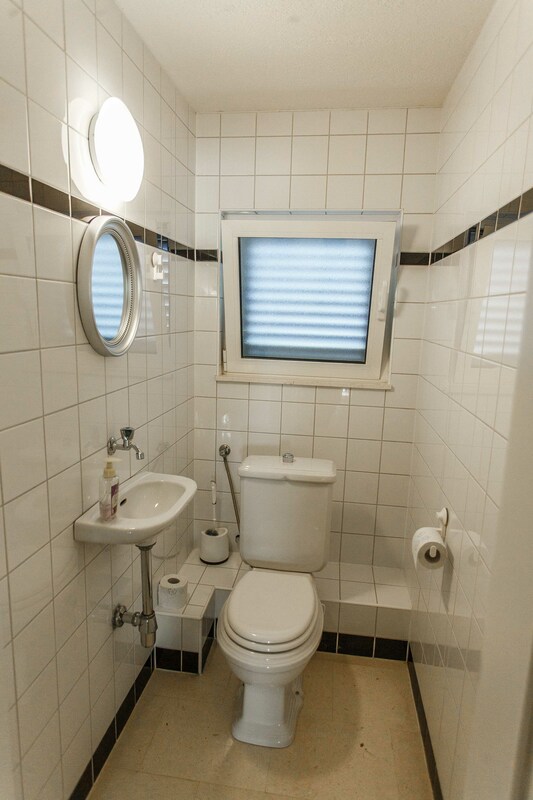 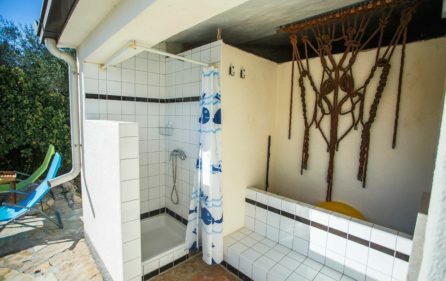 It can accommodate up to 14 people. 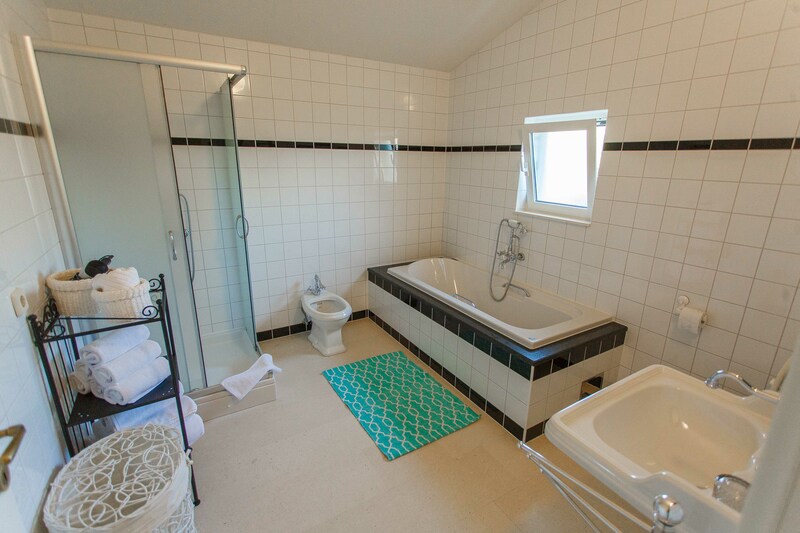 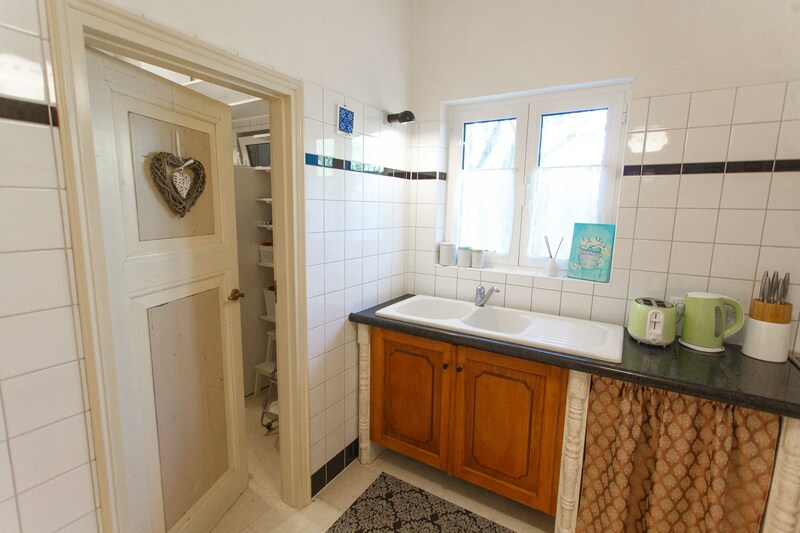 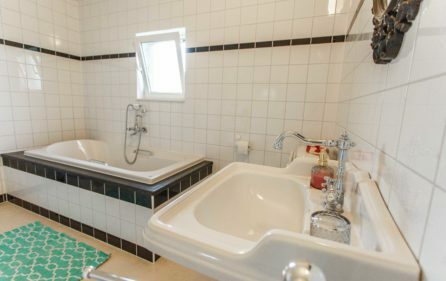 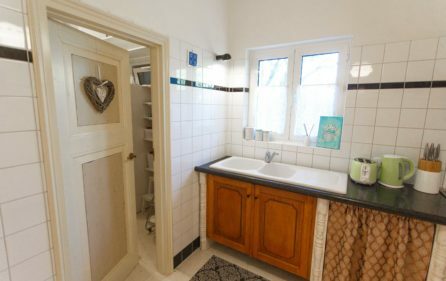 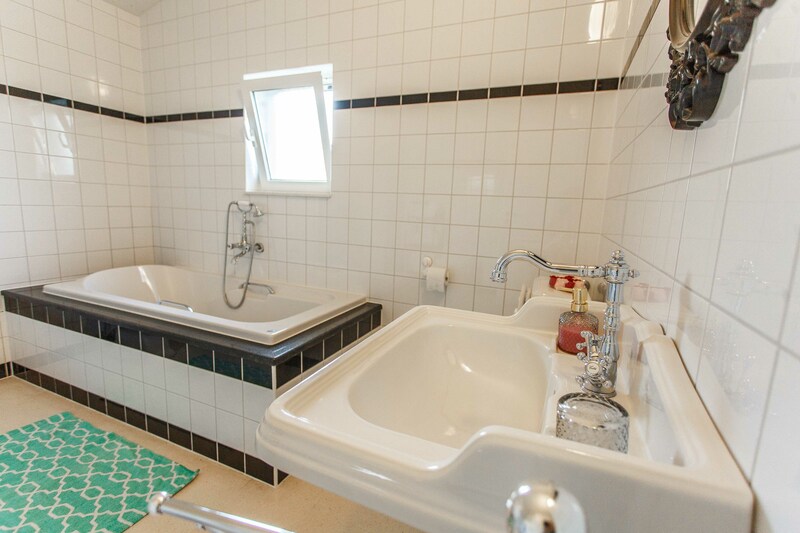 There are 3 baths in the house. 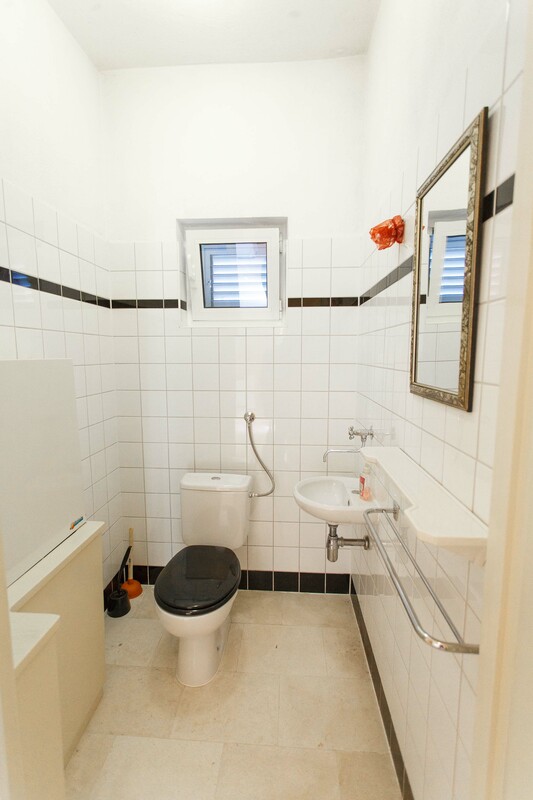 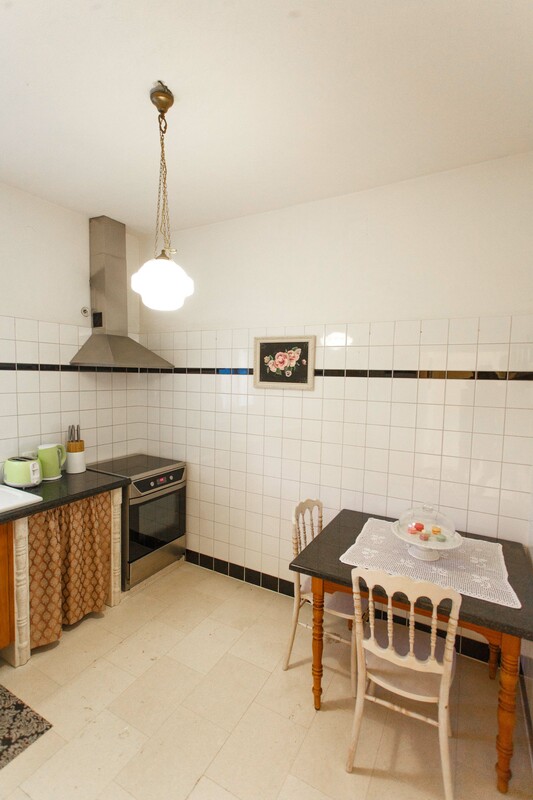 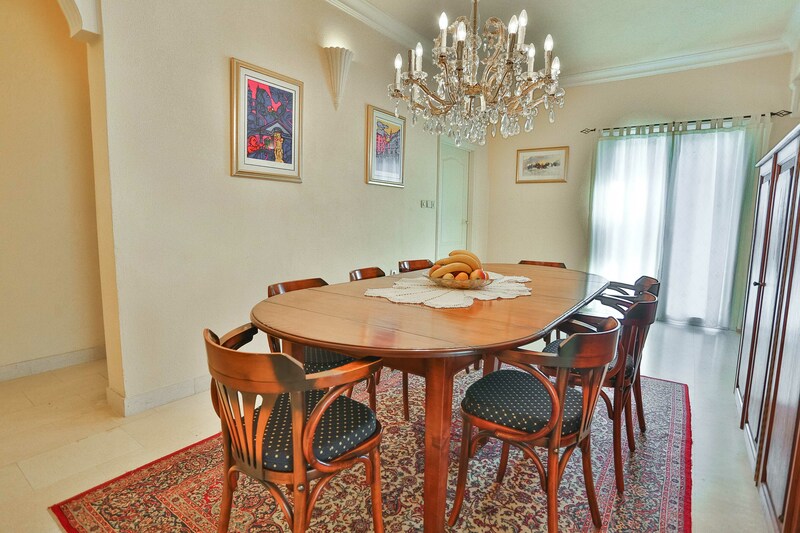 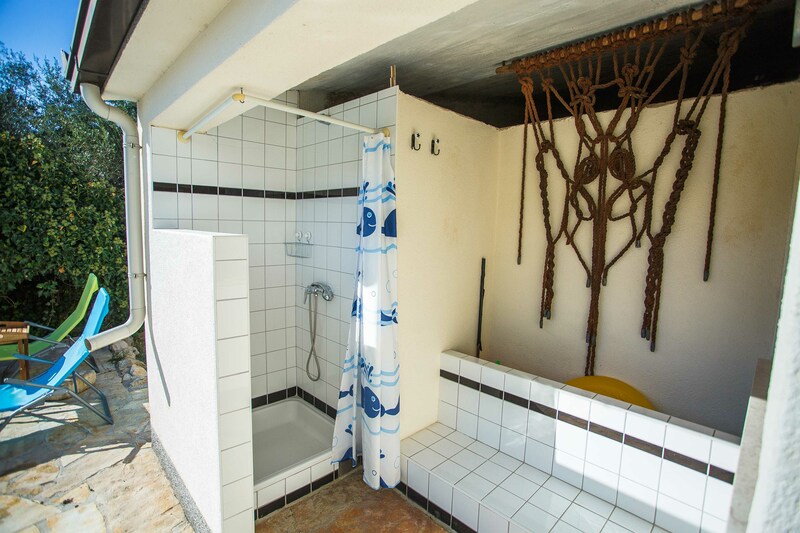 On the ground floor there is spacious kitchen, dinning room, living room, toilet, bathroom and 2 rooms. 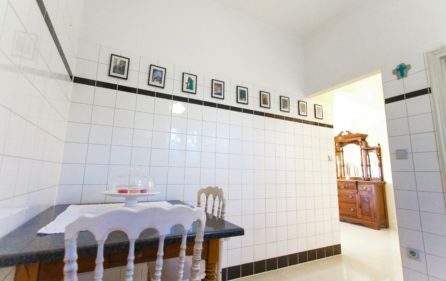 On the first floor there is kitchen, dinning room, living room, toilet, bathroom, gallery and 3 rooms. 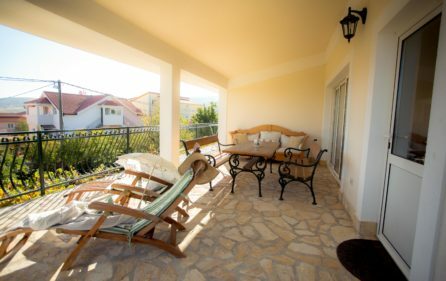 Pets are allowed inside the house, there is free parking provided on the premises, and there is Wi-Fi inside the house. 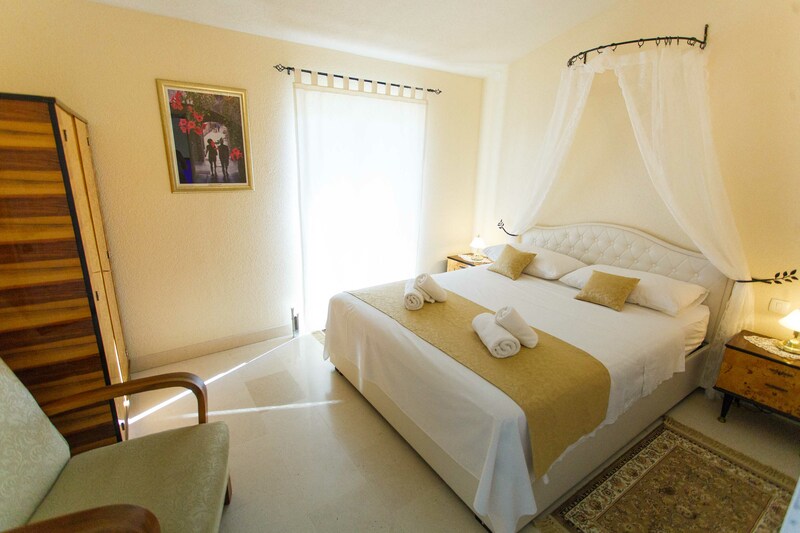 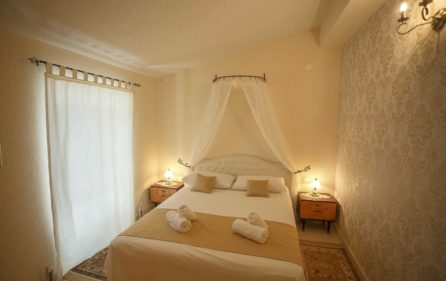 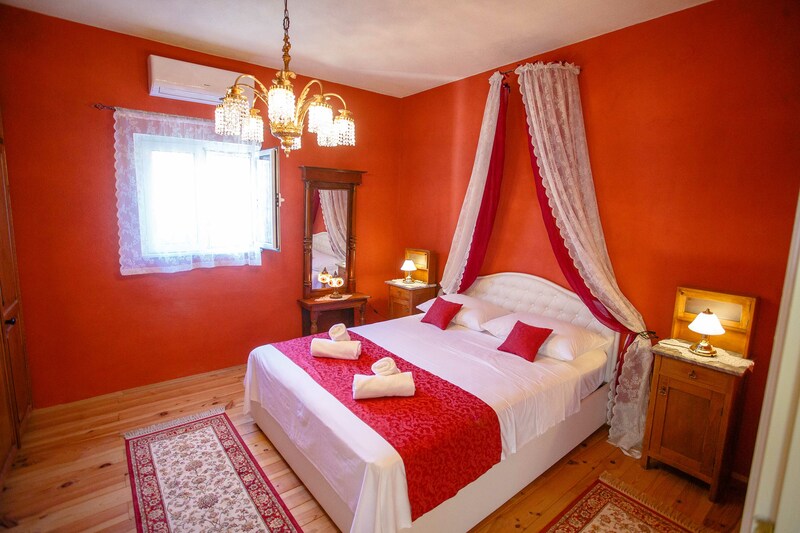 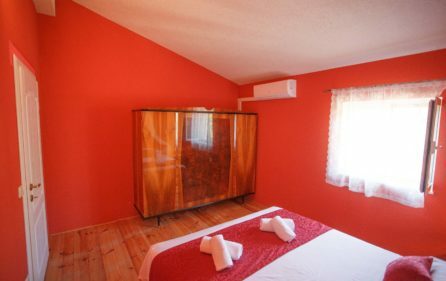 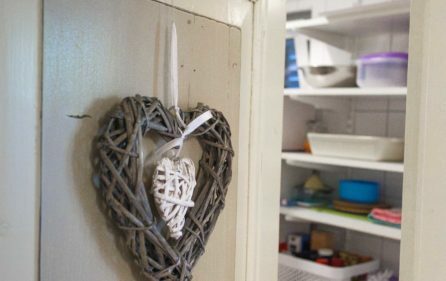 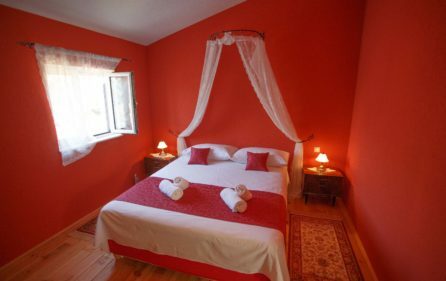 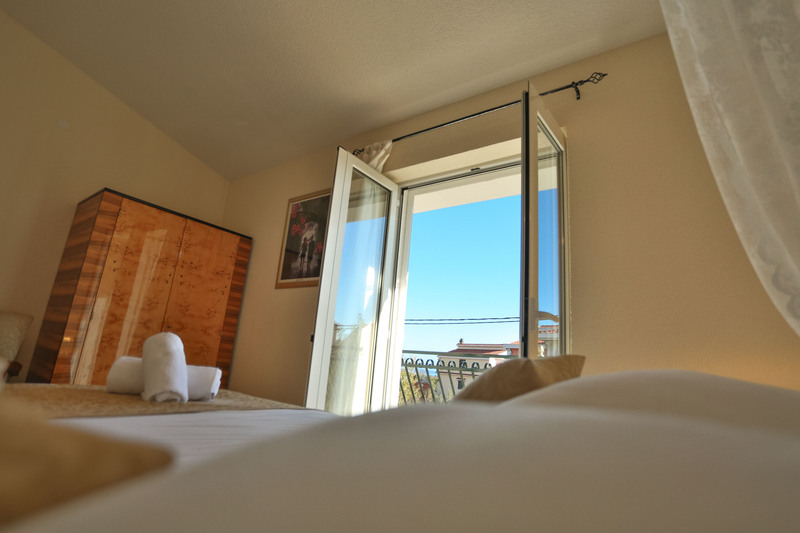 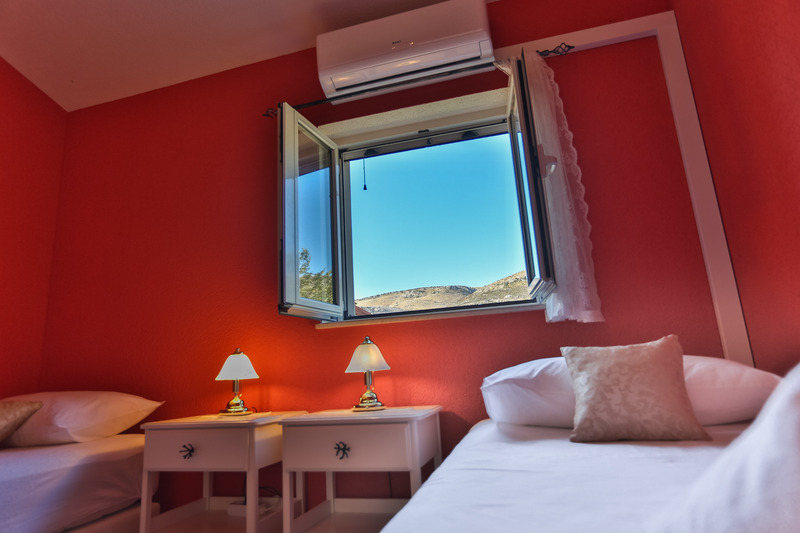 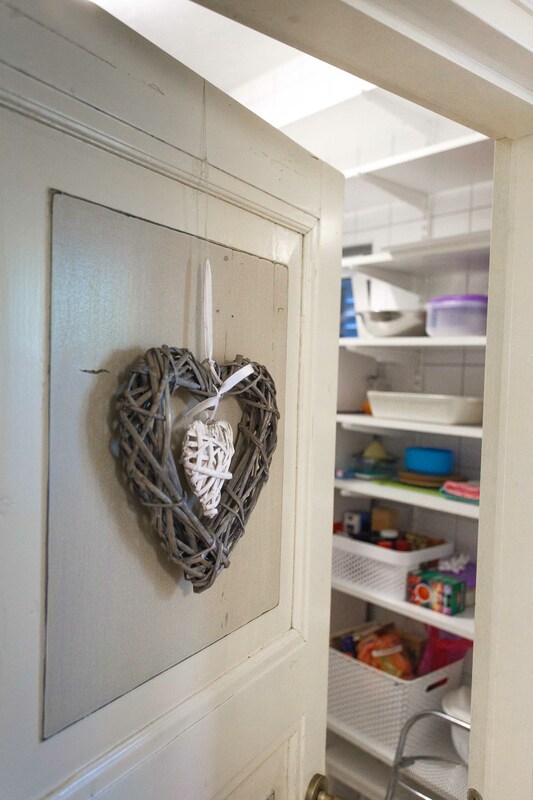 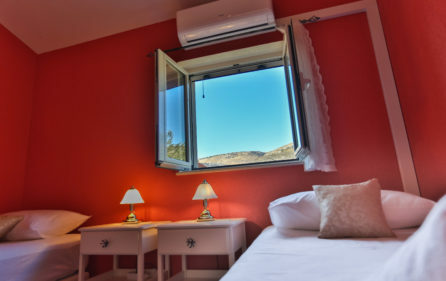 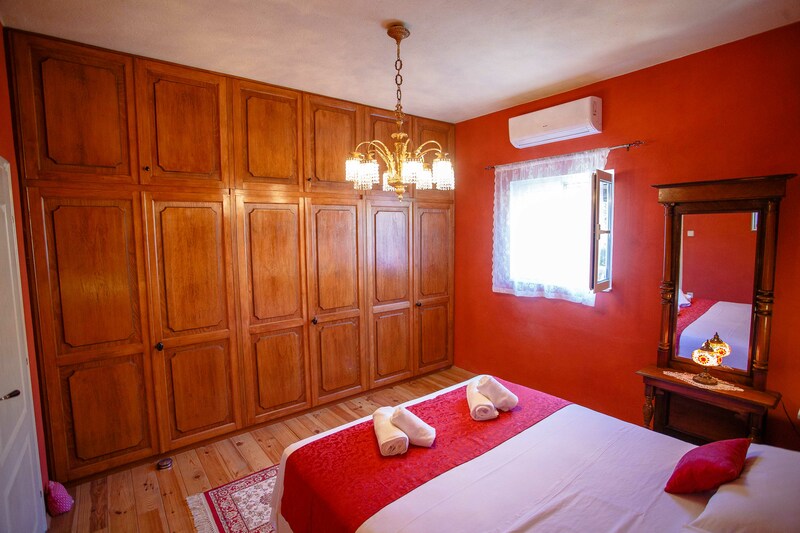 The villa is air conditioned and there are essentials provided inside.